Must be Peanut Butter Time Again! Guess what? This past weekend was really great. I got some things done. Hung out a bit. Y’know. But it was also…. Well, let’s just say you are about to see how clumsy I am/how a LOT of my days turn out in the end. 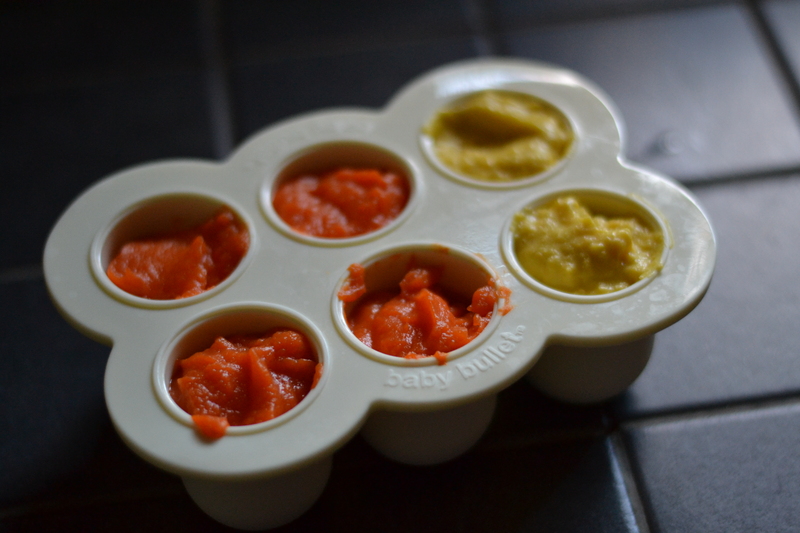 I took most of the afternoon on Saturday to make some baby food. Cael is an eater. I mean, he eats. And eats. 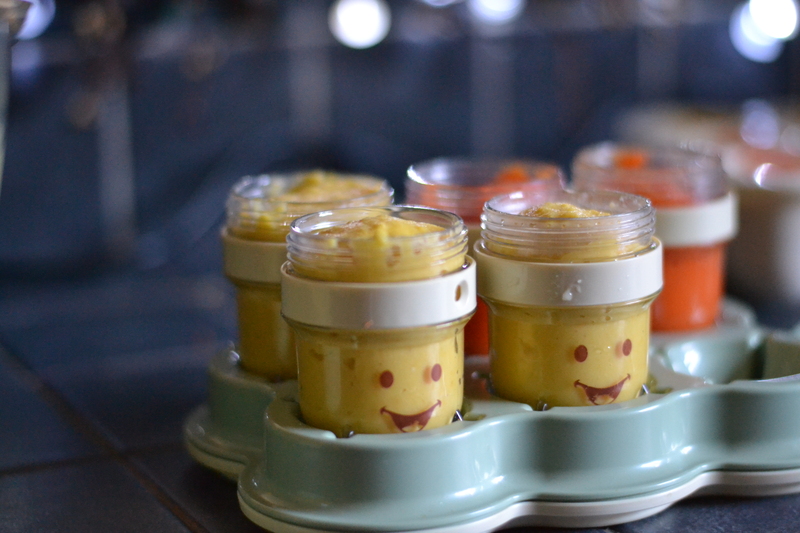 And eats…. Get the picture? (But still no teeth!) Anyway. I had to make him some food. And I was feeling really good about it. A real domestic thing to do. Get the picture? La-ti-da, cooking and blending away. I made him some date oatmeal, carrots, and corn. They looked SO pretty – the colours are great. 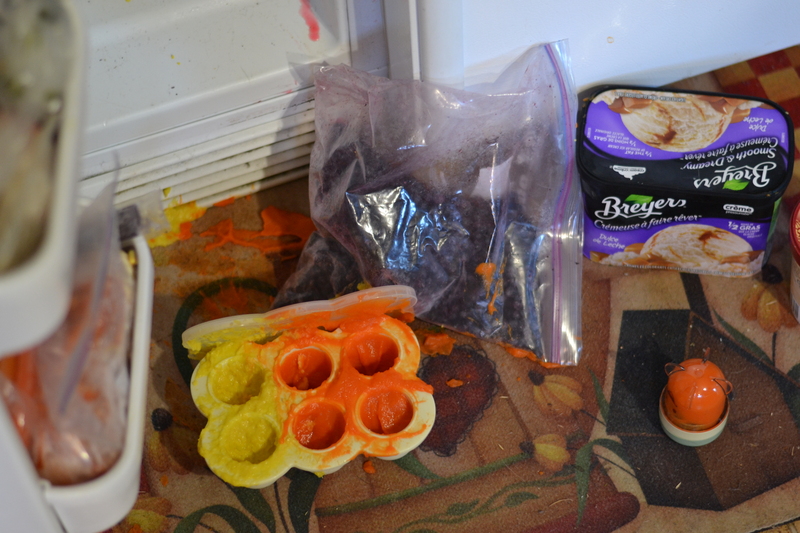 And then, I went to put them in the freezer. If you’ve ever been in our home, you might understand. For those of you who haven’t, let me explain. The freezer is like a time bomb. It ticks, and the trigger is someone who’s in a hurry (ME?! ), trying to shove something in the zero space that remains. It’s like trying to fit a 13th muffin in a 12-cup muffin tin. Or maybe a 13th AND 14th. Either way. This is what happens. Regularly. Except normally, things aren’t still runny. And don’t spill all over the floor. Sigh. All my work. Oh well, I suppose. Ever had these moments? Preheat oven to 350F. 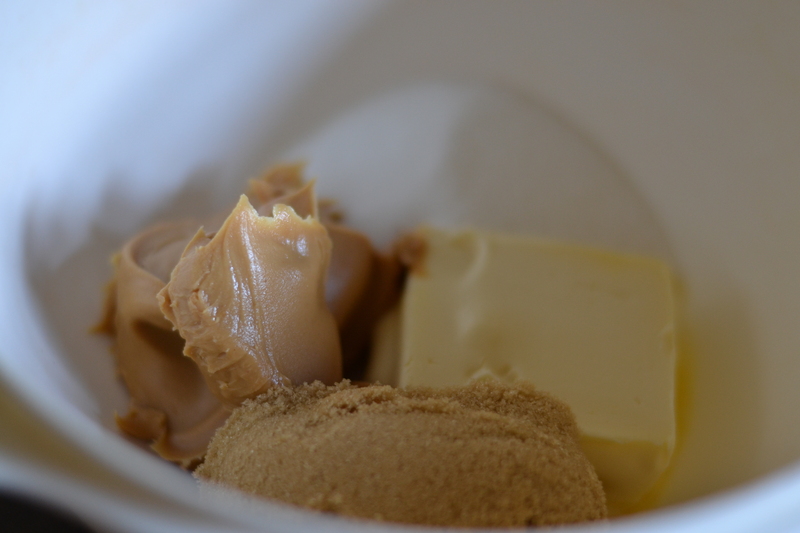 Mix together the margarine, peanut butter, and sugars. 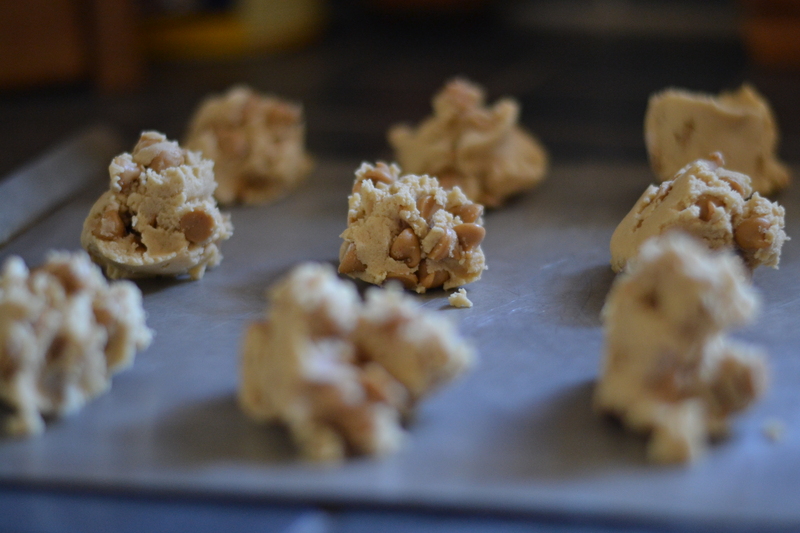 Now’s the time to add the peanut butter (chocolate) chips! 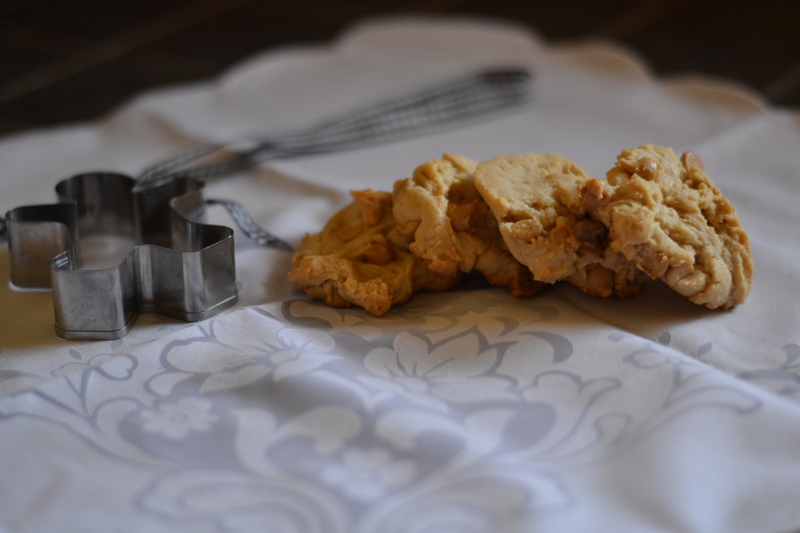 I drop these cookies by the spoonful, but they can be rolled into balls too and pressed with a fork if you want. 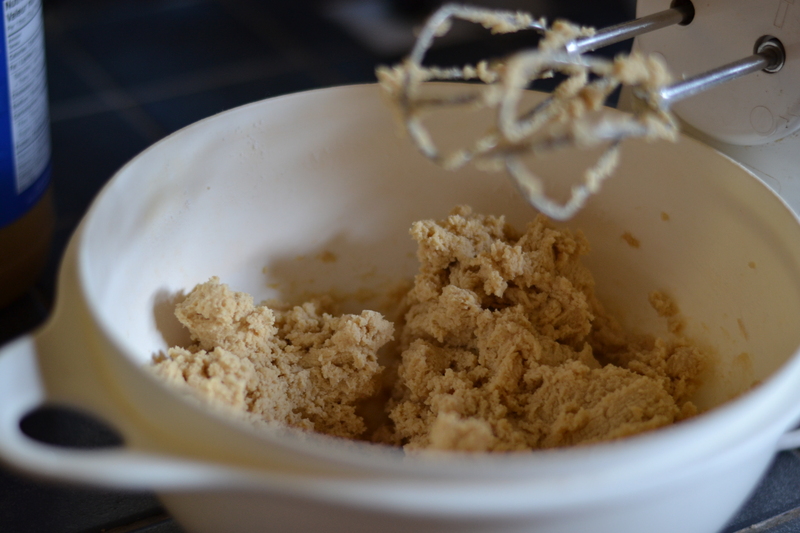 Bake for about 10-12 minutes (they should be just brown around the edges). 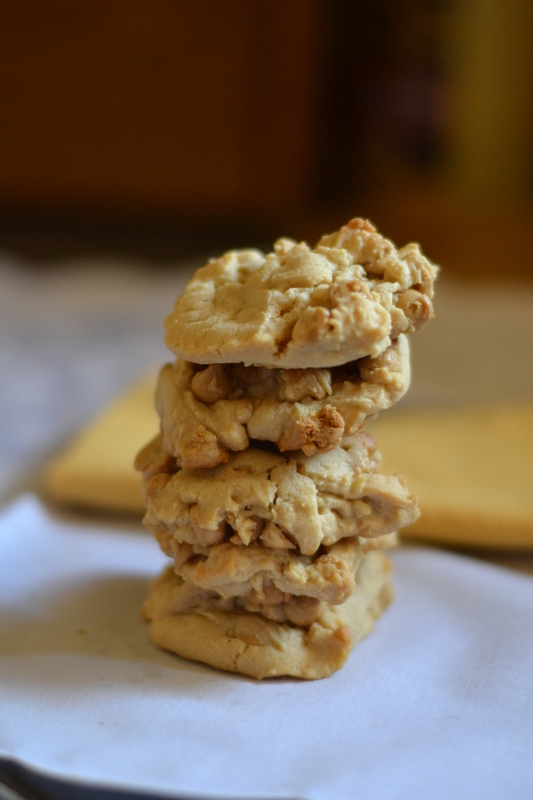 These cookies stay awesomely chewy [and yummy] stored in an airtight container. Hope you enjoy! Bon appetit!